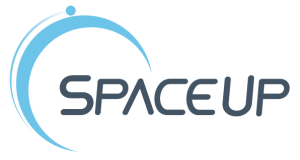 SME4SPACE is one of the partners of SpaceUp (Assisting European SPACE Start-ups in scaling UP) project, funded under Horizon 2020 framework programme (Grant Agreement n. 776356). SpaceUp aims at fast-tracking Europe’s innovative start-ups in and around the space sector on the road of maturity. The project’s key features are 6 Space Academies across Europe, complementing ESA BICs in their work. Before and during these Space Academies, start-ups and entrepreneurs in the acceleration phase are mentored and coached, some to provide successful pitches. Matchmaking with business angels, crowd funders, investors, human resource specialists and CEOs from corporates is strongly promoted.